You can transform your office into chic and comfortable place by installing appropriate and unique window cover. In choosing the right blinds for your office, make sure that it will give you the benefits you are looking for. One of the unique and chic window cover nowadays is called Combi Blinds. Combi blinds also known as combination blinds are suitable in both commercial and residential spaces. Its unique functional design can bring comfort in any room and at the same time adds chic look. 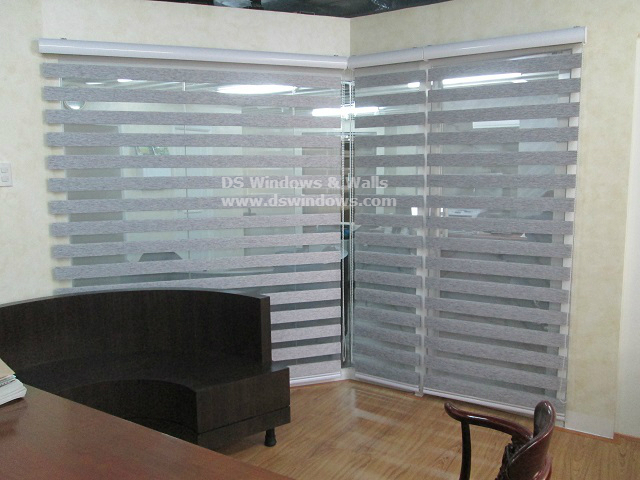 One of our clients opted for combi blinds for their office at Holy Spirit, Quezon City, Metro Manila, Philippines. Combi blinds is not only great for privacy purposes, but also been used as a decoration to enhance the theme or motif in any room. Our client decided to install combi blinds on their glass wall to provide privacy and it also makes their office livelier and sophisticated. 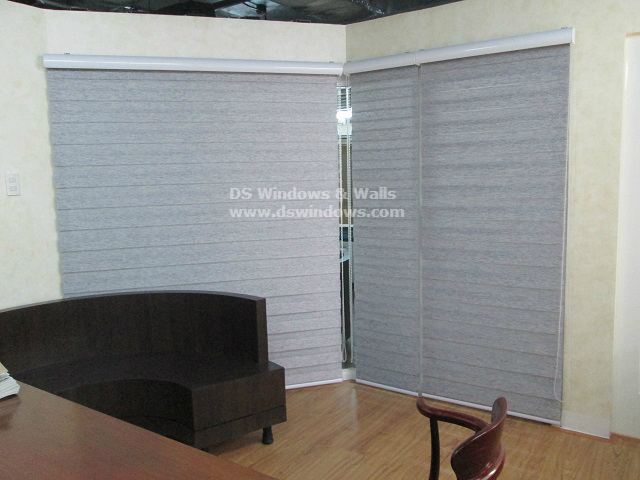 DS Windows & Walls offers different designs and colors of combi blinds that will surely match in any interior motif you had, depending on your taste and lifestyle. To check its different designs and colors, you can visit 4th level Waltermart Makati, 3rd level Robinson Metro East, Pasig City and 2nd level Pacific Mall, Lucena City or you may browse our web store at www.angryblinds.com.ph. For questions or inquiries, you may email us at inquiry@dswindows.com or call us at (02) 403-3262, (02) 668-9668, (02) 893-1373 and 0916-311-3909.